For software owners, your software must be loaded and updated with latest updates. Attendees must have taken our Software Owner's classes or have a good grasp on the basics. 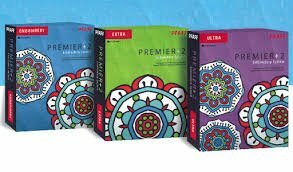 Open to ALL folks who own the Pfaff Premier+ 2 Software. We will meet the 3rd Friday of each month (unless otherwise noted) from 10am-12:30pm. Hands on lessons to help you see what it has to offer, as well as handouts to take home! We love it and want you to see why! >>> Something to learn for all levels! **DON'T FORGET YOUR POWER CORD AND MOUSE FOR EACH CLASS! MUST have software loaded AND updated!